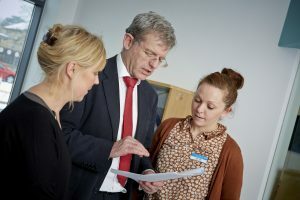 The Highfield Unit Oxford enjoys strong links with Oxford University’s Department of Psychiatry with an emphasis upon teaching and research. The unit has a good reputation for research in the fields of adolescent neuro-imaging (MRI and MEG), epidemiology and psychopharmacology. We aim to promote research into the treatment of major mental illness and early intervention. The academic focus has been enhanced with the recent appointment of a Consultant Adolescent Psychiatrist and Senior Research Fellow.